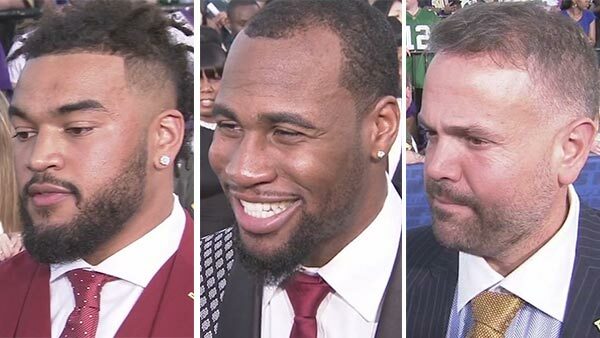 PHILADELPHIA (WPVI) -- Action News sports anchor Jeff Svkersky was on the red carpet Thursday night as the 2017 NFL Draft in Philadelphia began! The Eagles first round draft pick, University of Tennessee's Derek Barnett! Jeff Skversky talks to Derek Barnett on the NFL Draft Red Carpet. Jeff Skversky talks to Haason Reddick on the NFL Draft Red Carpet.